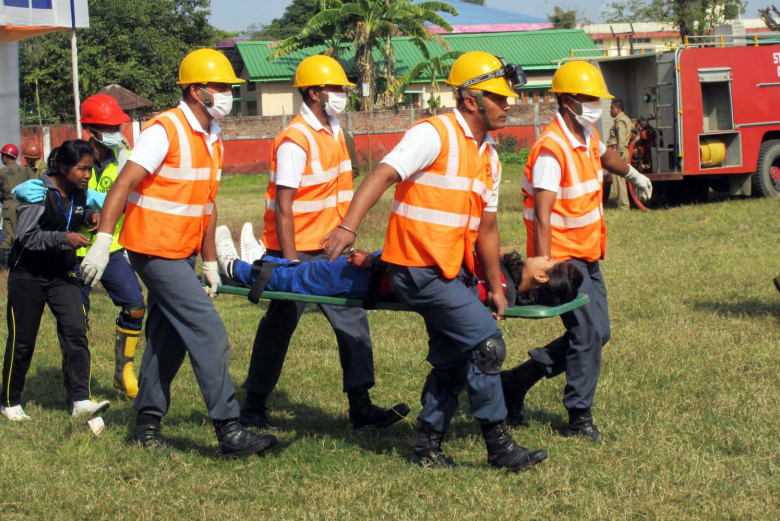 This issue focuses on the theme of Emergency Management Exercises (EMExes) in Assam organized by Assam State Disaster Management Authority (ASDMA). The objective of the exercises was to bring together various actors – such as state and regional emergency responders, educational institutions, hospitals, health care professionals, humanitarian agencies, government departments, non-government organisations, civil society organisations and professionals from emergency management-related fields – to assess the cities’ disaster preparedness and resilience, acquire new skills for emergency management and mass casualty events, and to develop a multi-disciplinary, inter-stakeholder, coordinated response during emergencies. This issue’s contents includes: i) Journey from 2012 to 2015: A Sincere Effort in Improving Preparedness for Emergency Response; ii) Child Centered DRR–The Thematic Focus in GEMEx 2015; iii) Scaling Down the Idea of EMExs in Districts of Assam–the Approach of ASDMA; iv) GEMEx, 2015: Learning Emergency Ways of Working of the Public Health Work Force; v) Redefining Ownership–School Based Disaster Risk Reduction a Reality in Axom Jatiya Vidyalay; vi) When Disaster Reduction Became a Reality–the Story to Share; vii) Making Emergency Preparedness ‘Walk the Talk’–Mission EMEx of Assam Reaches Nalbari; viii) Lakhimpur Emergency Management Exercise (LEMEx); and ix) Dhemaji Emergency Management Exercise (DEMEx).